If you haven’t heard about it yet, Acura recently has restored a 1993 Acura Legend that is owned by none other than Chris “Ludacris” Bridges. Ludacris took ownership of his Legend back in 1996 and had driven it daily up until last year when it was totaled in a car accident on the highway. Acura eventually got wind of Luda’s Legend and in turn offered to restore it for him. Along with the restoration, Acura also installed a new, Pioneer sound system a performance suspension system and even some fresh wheels. OK, so this might not exactly be current news, but it does have ties to the 2015 SEMA Auto Show. No, Luda’s 1993 Acura Legend with 243,000 miles won’t be at SEMA, but a 2016 Acura ILX modified by Galpin Auto Sports will be – and it was built to complement the “Ludacris Legend.” The car has been modified extensively, but that isn’t the coolest part about this particular car. Once the SEMA conference comes to an end, the modified sports sedan, which is street-ready, will be donated to the Ludacris foundation. As you can see from the pictures, the ILX has received a rather sporty and somewhat aggressive body kit, and a beautiful bright paint job, but we’re going to dig into it deeper to see just how far Galpin Auto sports went on Acura’s gateway sports sedan. 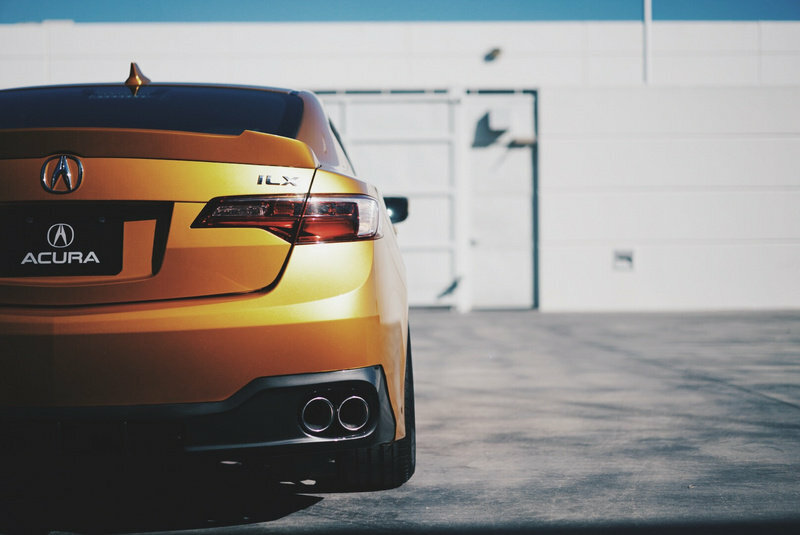 Continue reading to learn more about the Acura ILX By Galpin Auto Sports. The 2016 Acura ILX just receive a major refresh for the 2016 model year, but Galpin Auto Sports said that just wasn’t enough. To start off, Galpin installed a new body kit that gives the ILX a radical look. 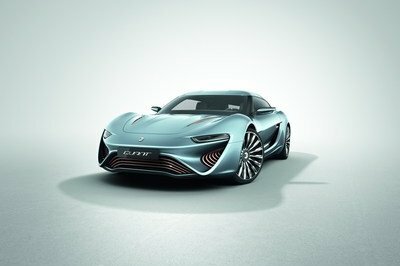 The front fascia that is more elongated and comes to a much sharper point than the stock unit. 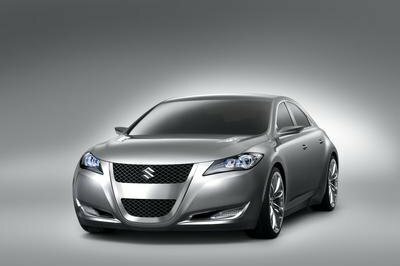 The front splitter has also been customized to match the fascia in shape. The headlights and hood, however, remain stock. 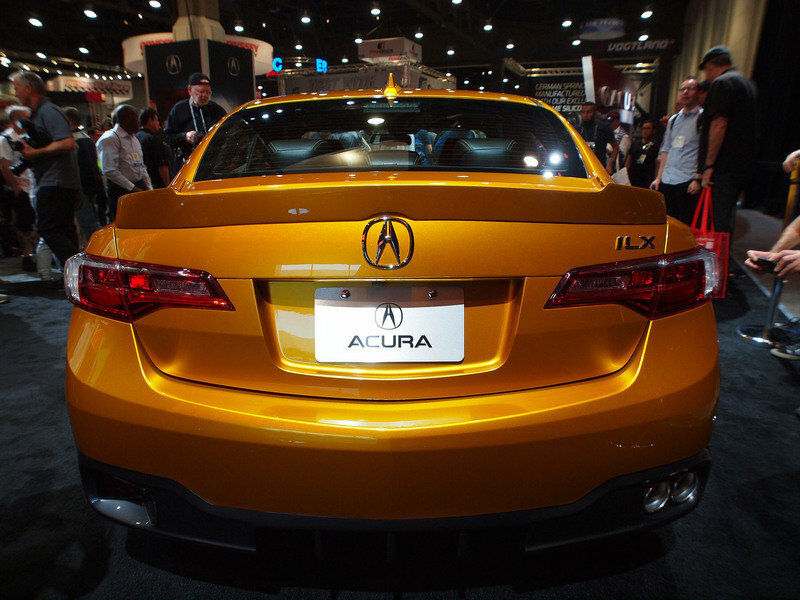 Galpin painted the ILX in Sunburst Yellow and Shark Gray accents, using a three-stage candy paint process. Below the doors sit a pair of flat side skirts that extend outward from the body by a quarter inch. To the rear, the deck lid was equipped with a custom spoiler that swoops upward from the lid. The taillights remain stock, but a custom rear diffuser has been added with a custom exhaust outlet. On the driver side of the diffuser, Galpin added a JDM fog light. With a full body kit, Galpin painted the ILX in Sunburst Yellow and Shark Gray accents, using a three-stage candy paint process. In addition to the custom paint job, the ILX got a new set of 19-by-8.5-inch ACI wheels that have a Matte Brushed Smoked finish. Pirelli 245-series 19-inch tires give the car traction on the road. To give the ILX the sporty stance it deserves, it was fitted with RS-R Sports coil overs that drop the body by at least 1.5-inches. 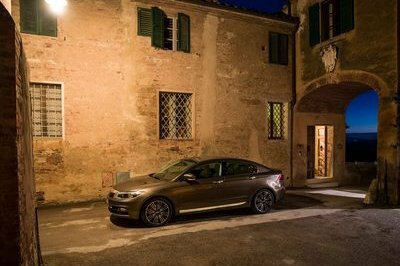 We have yet to receive any photos of the interior, but we do know a bit from the press release. The car received gold contrast stitching throughout, and Katzkin perforated Barracuda leather inserts — presumably on the door panels and the seats. If anything, I would expect to see body-colored trim inside the vehicle, or at least a few accents. I wouldn’t be surprised if we also saw a new Pioneer sound system similar to the one installed in Luda’s Legend. Galpin Auto Sports didn’t do much in terms of drivetrain modification that we know of, but it did install a Borla exhaust system with custom dual tips. Even without any major drivetrain upgrades, the 2016 Acura ILX is equipped with a new, 2.4-liter direct-injected i-VTEX engine that puts out 201 horsepower at 6,800 rpm and 180 pound-feet of torque at 3,800 rpm. Without any additional upgrades like custom tuning or a cold air intake system, the ILX can hit 60 mph from a stop in just 6.4 seconds, with a top speed estimated to be 138 mph. Given the production 2016 ILX starts out at $27,900, it is safe to say after all the modifications that the cost of the car is reaching upward of $40,000 – body kits and candy paint isn’t cheap. I actually love the look of this ILX and wouldn’t mind having one with the same body kit. 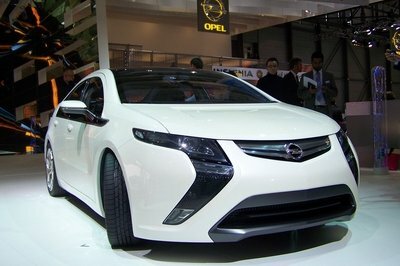 I would probably go with a different color, but Galpin’s pick does fit the car well. It might be hard for some to see how this ILX complements Luda’s 1993 Legend – I have a 1993 Legend, and to be quite honest, the ILX is an entirely different machine. But, it’s hard to beat Acura’s luxury and design style, so I guess that in itself is enough to tie the two together – at least for me anyway. 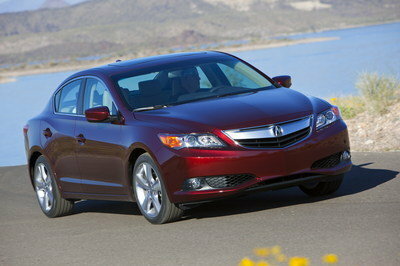 I commend Galpin Auto Sports for the work they have done on this ILX. Complementing the "Ludacris Legend" is the 2016 Acura ILX sedan by Galpin Auto Sports, a sporty, youthful and street-ready take on Acura’s gateway sports sedan, which will be donated at the conclusion of the SEMA conference to the Ludacris Foundation (www.facebook.com/LudaKids) to a "Legend" in the community. The Ludacris Foundation, named as one of the top twenty "Leading Philanthropy Foundations" by Black Enterprise Magazine, inspires youth through education and memorable experiences to live their dreams by uplifting families, communities and fostering economic development. The Acura ILX by Galpin unveiled at SEMA 2015 is based on the luxury brand’s gateway sedan, which received a major freshening for the 2016 model year, including a new 200-horsepower, 2.4-liter direct-injected i-VTEC engine and 8-speed dual clutch transmission (DCT). The Galpin ILX is heavily modified and features custom body work including a new front bumper with accent front splitter, custom rear diffuser with JDM Fog Light plus custom exhaust exit with rear spoiler. Additionally, suspension modifications were made with RS-R Sports*i coilvers and a Borla exhaust with custom dual tips. The ILX is outfitted in 19 x 8.5-inch AVI wheels in a sinister Matte Brushed Smoked finished wrapped around Pirelli 245/30/19P Zero Run Flat Tires accentuated with black brakes. To create a visual tie with the Ludacris Legend, the ILX is painted in a Sunburst Yellow with Shark Gray accents using a three stage candy paint process. The color scheme is also is carried through to the interior with added gold contrast stitching throughout along with Katzkin perforated Barracuda leather inserts.